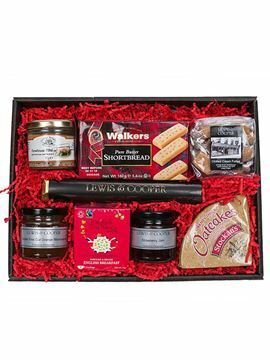 Our own-brand gourmet food gift box containing a mix of traditional Yorkshire goodies and a bottle of our delicious L&C Rouge. 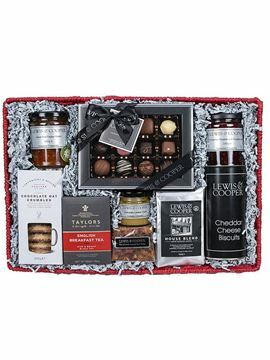 From pate to chocolate, biscuits to sweeties, and fruitcake to chutney, this classic hamper is sure to have something to please. 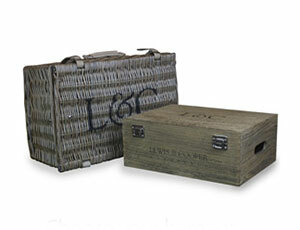 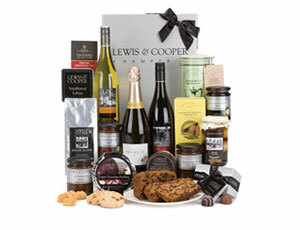 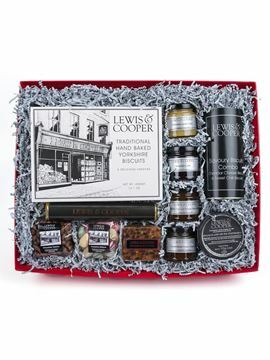 This hamper is packed in a Lewis & Cooper silver gift box with a black satin bow and finished with 2 sheets of crisp L&C tissue paper and a gift tag for your personal message.